Since my blog posts so far this year have been about reading, I decided to list some books I’ve enjoyed the past half year or so, just in case some of you like that kind of thing (as I do). These aren’t reviews, as much as sticky notes, or cheers. If you’re interested, you can always google for more information. So, six today, six to follow. We’re Flying (2012), short stories by Peter Stamm. I learned of Stamm, a Swiss writer, through one of Eleanor Wachtel’s “Writers and Co.” interviews. This is a large, wonderful collection, translated by Michael Hofmann. One reviewer has called Stamm’s stories “small canvases of precision as he maps the imprecision of human emotion.” I was beguiled by his style. This is the book on today’s list I want to re-read. 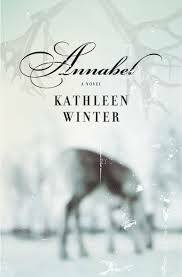 Annabel (2010) by Kathleen Winter. A fine, moving book about an intersex boy named Wayne/Annabel, set in Labrador. This is one of those books, perhaps rarer than we realize, that awakens love and understanding. It was on this year’s Canada Reads debate; I was sad to see it voted off. 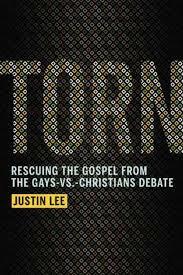 Speaking of sexuality, Torn: Rescuing the Gospel from the Gays-Vs.-Christians Debate (2012) by Justin Lee is an absolutely necessary book for those in the church, where the “versus” is still very much alive. Lee tells his own story as a gay and Christian man and offers ways forward—together—in the debate. His spirit is profoundly gracious. 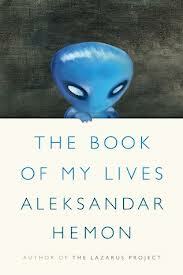 The Book of My Lives (2013) by Aleksandar Hemon. These auto-biographical essays by a man who grew up in Sarajevo and now lives in Chicago, address matters such as horrible places, playing soccer, and his daughter’s death. Beautifully written and rich in insights. 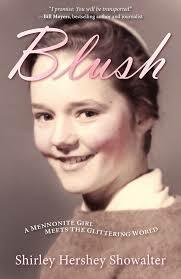 Blush: A Mennonite Girl Meets a Glittering World (2013) by Shirley Showalter. I learned of Shirley Showalter through her blog 100 Memoirs. She responds warmly to those who connect with her, and we’ve become friends. (And have since had occasion to meet.) I read Blush, a memoir of growing up Mennonite in America in the 1950s and 60s, in manuscript form and was delighted to provide a book blurb, which I’ll repeat here as a recommendation: “She’s a smart, sweetly blushing, baseball-loving, convertible-driving, taking-on-the-bishop kind of girl who delights and inspires.” Showalter went on to become the 14th president of Goshen College and I suspect many of her readers are hoping she’ll continue her story into those years. 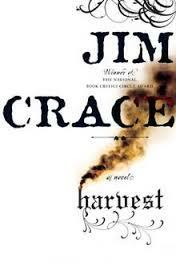 Harvest (2013) by Jim Crace. Apparently Crace has declared this his last novel, and what a compelling swan song it is. People in a remote village are finishing the barley harvest when strangers arrive; what follows from their arrival undoes an entire way of life. There’s “plenty of incident but little drama” here, noted Guardian reviewer Nicholas Clee; rather, the book’s “considerable power” is created through the narrator’s “mesmerizing narrative.” I agree. This entry was posted in Books and tagged Aleksandar Hemon, Annabel, Blush, Dora Dueck book notes, Harvest, Jim Crace, Justin Lee, Kathleen Winter, Peter Stamm, Shirley Showalter, The Book of my Lives, Torn: Rescuing the Gospel from the Gays-vs-Christian Debate, We're Flying by doradueck. Bookmark the permalink. Thanks Dora for alerting me to what looks like some great reading! Now if I can just shut myself up somewhere and hibernate…but…spring is just around the corner…Will have to drag that comfy deck chair out from its hiding place.Can’t wait! I would read any book you recommend, Dora. These look like wonderful choices. Thanks for including Blush on the list, which gives me the opportunity to thank you publicly for the lovely blurb above and on the book. So glad we met online and here in Virginia and hope some day I get the chance to visit you on your turf. Thank you Elfrieda, Eunice, Shirley… for your comments. Happy reading, whatever it may be!